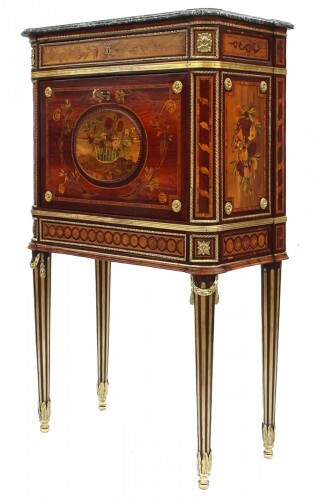 Under Louis XVI, writing furnishings rival one another for ingenuity and refinement. 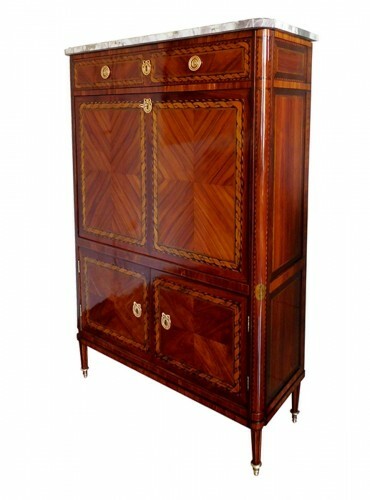 They are produced in numerous variations, each as elegant as the next. 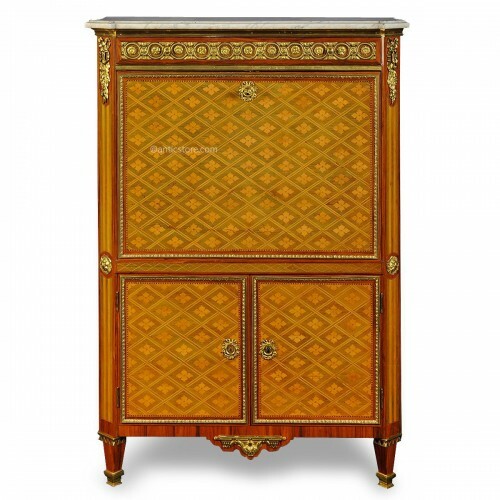 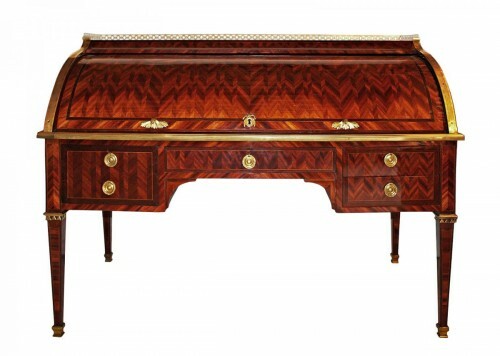 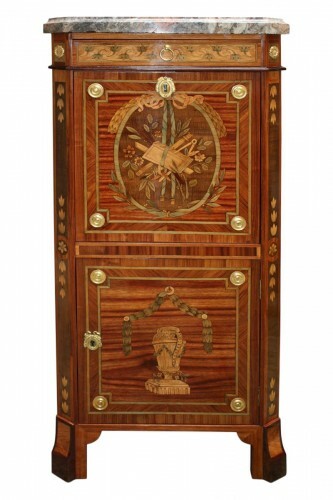 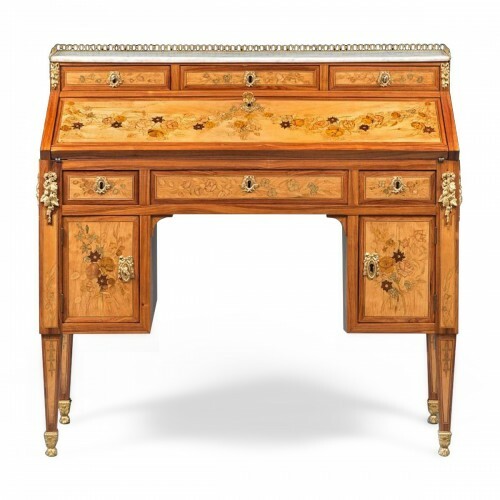 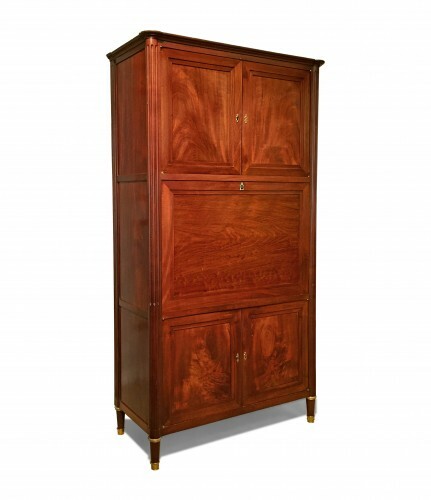 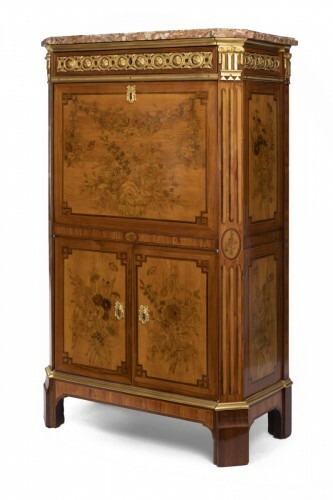 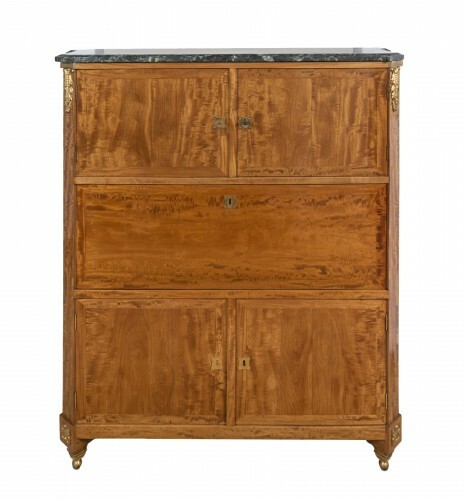 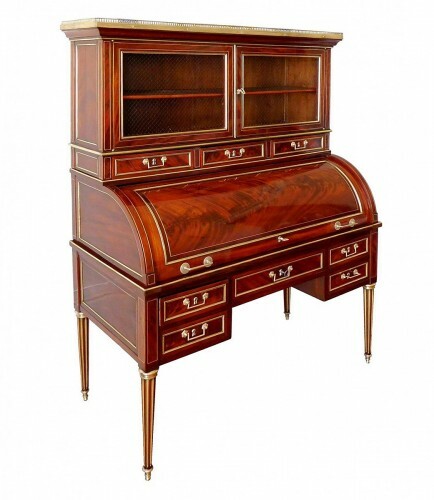 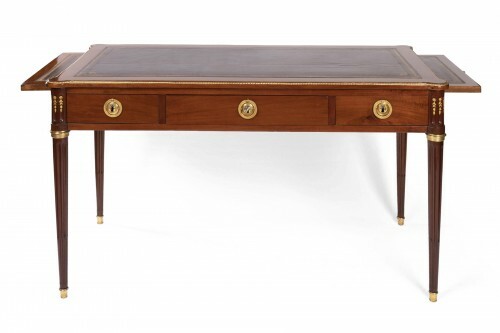 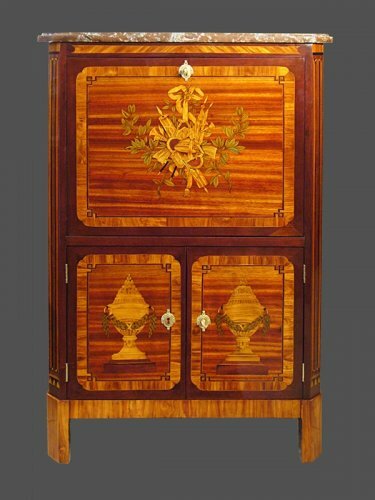 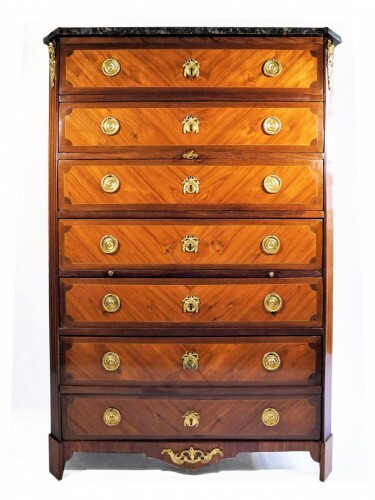 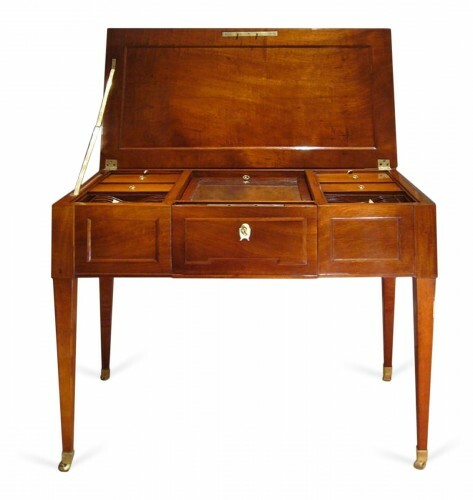 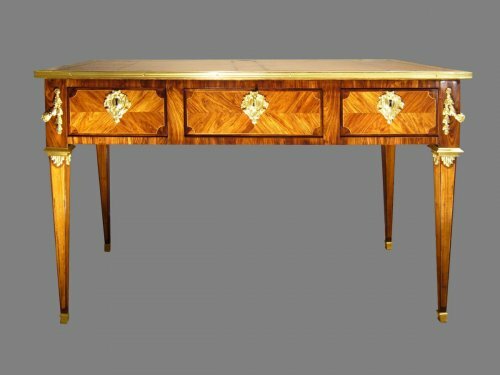 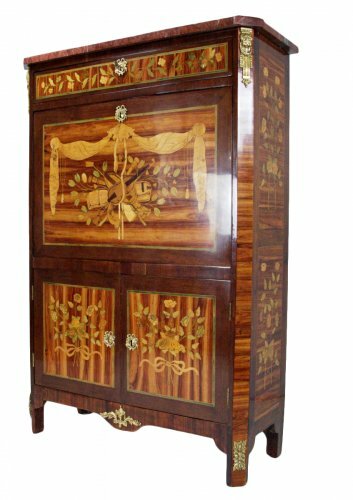 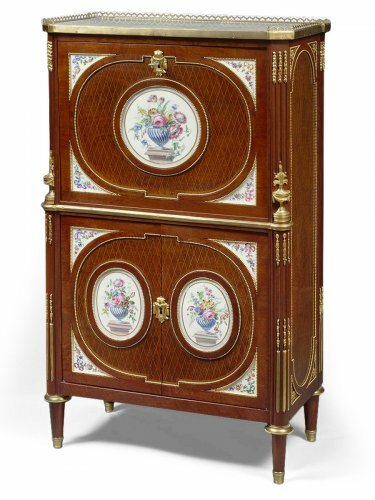 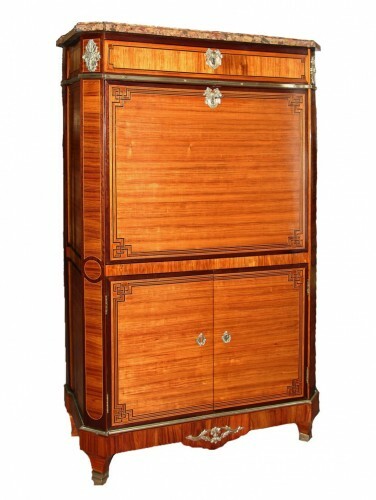 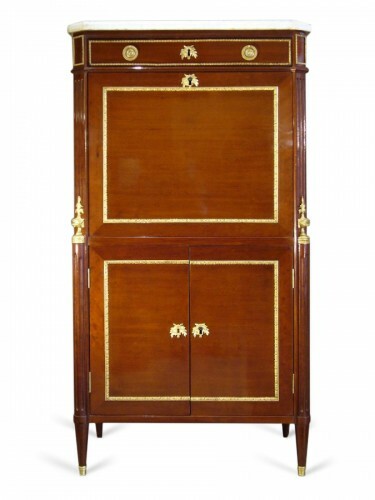 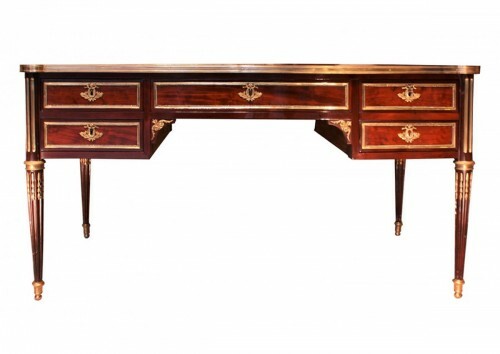 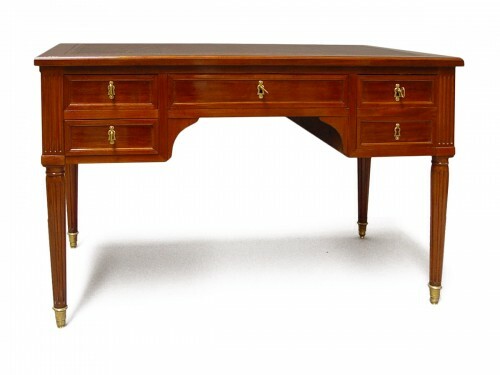 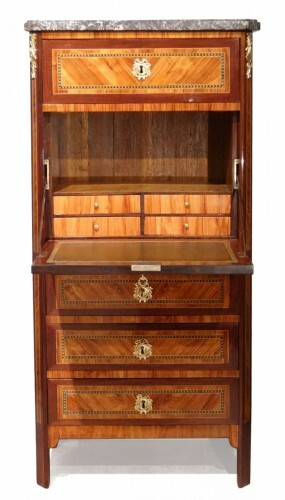 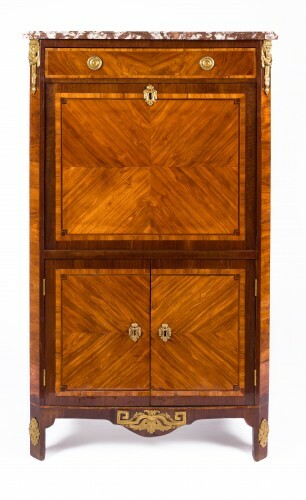 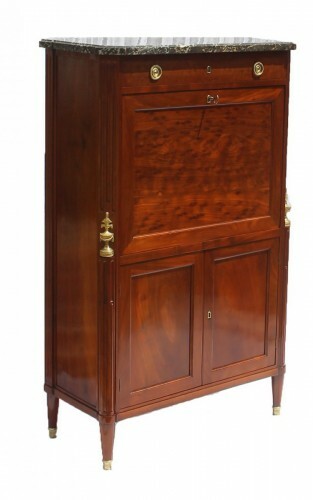 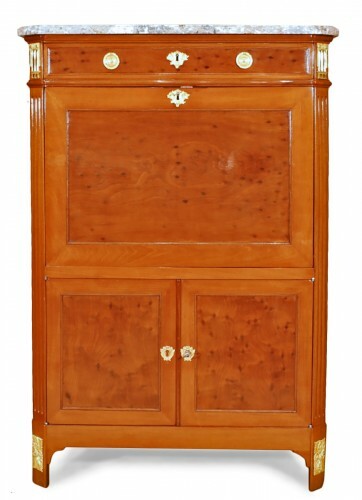 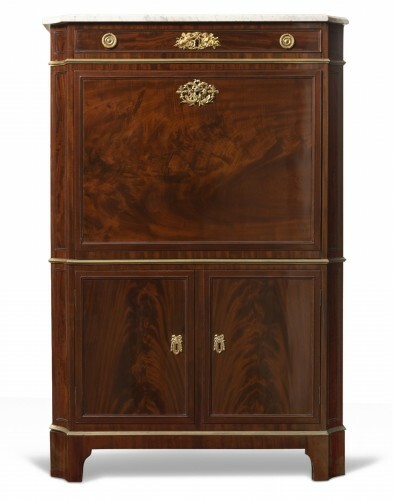 The Louis XVI secretaire is prized as it allows for the storage of documents under lock and key. 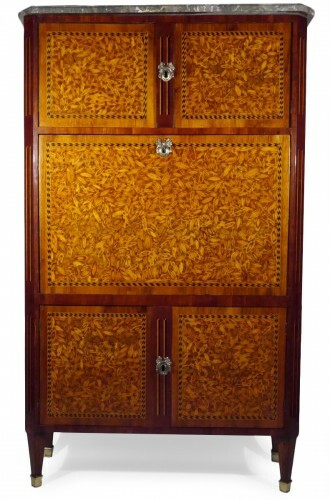 Its lid may accommodate wood veneer or marquetry. 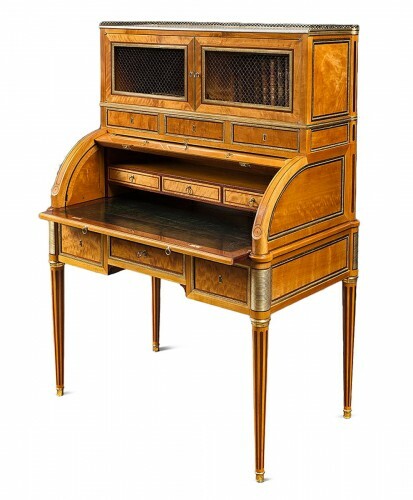 A new design appears: the secretaire en cabinet, which eschews the storage space under the plateau. 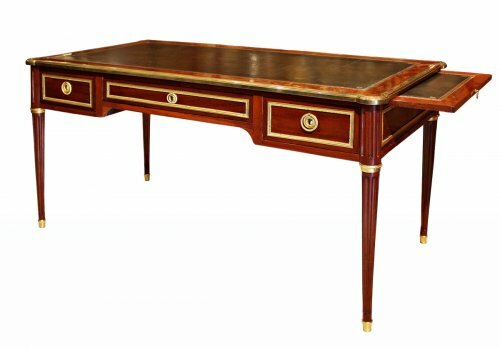 The bureau plat endures with sheathed or spun feet, legs in the form of columns, flat or with bevelled corners. 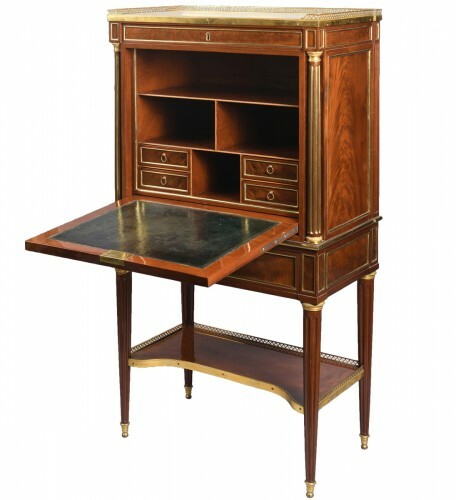 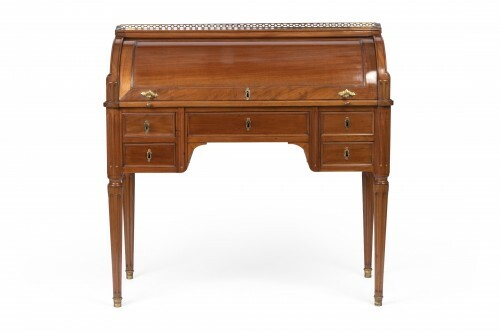 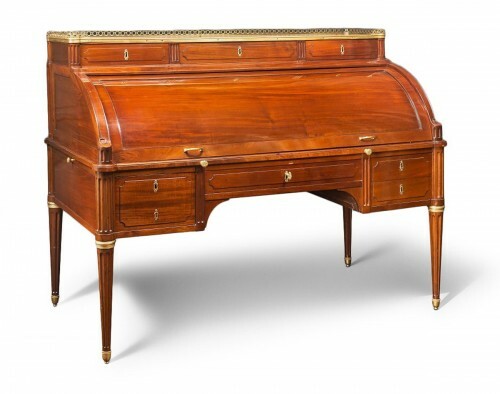 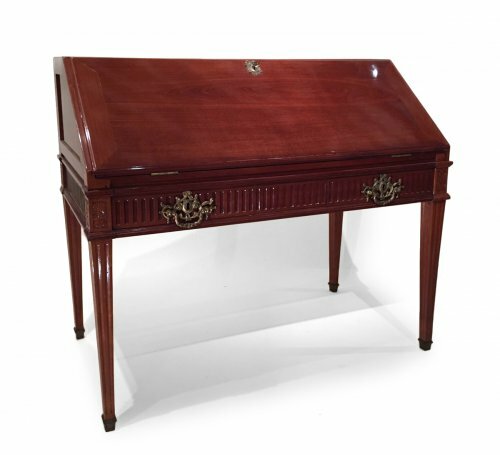 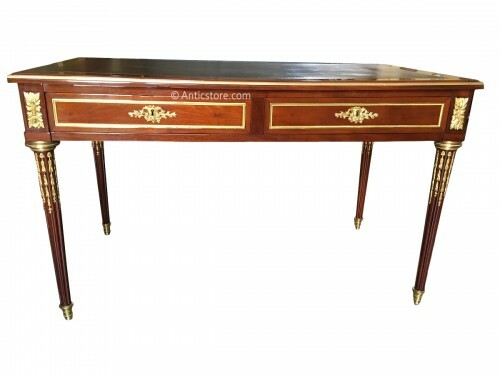 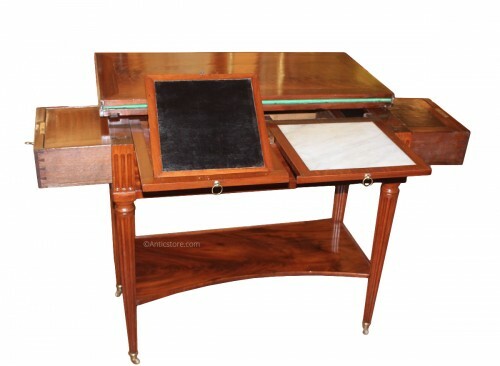 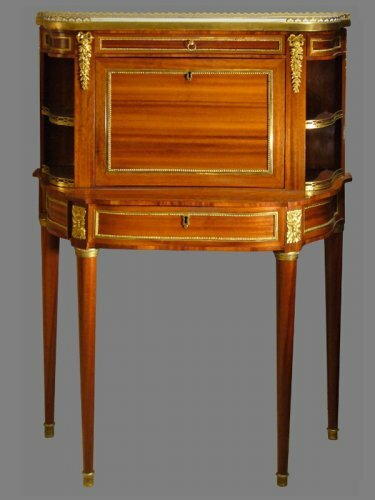 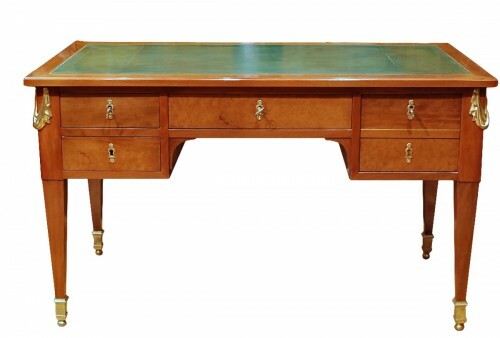 The bureau à cylindre (cylinder desk) is designed more for gentlemen while the Bonheur du Jour and the bureau dos d'âne are intended for ladies. 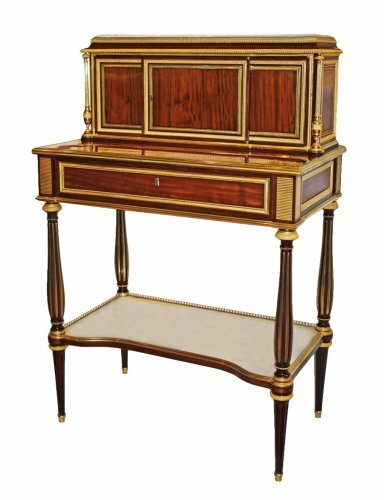 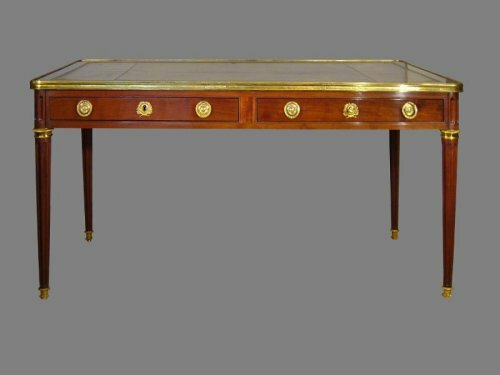 It is under the reign of Louis XVI that the table à tronchin appears: a rack-and-pinion system allows for the tilting of two mobile tops.